Our day started with breakfast at 7:30 a.m. Everyone was excited when the sun made a brief appearance. Our ‘03’s spent the morning shopping at the Centro Shopping Mall in Oberhausen ahead of their evening game in Wuppertal. They came back with a full report for their 2002 and 2004 counterparts on where to shop and where to eat. Topping the list was an Italian pizzeria, the bakery, and of course the Bayern Munchen, Borussia Dortmund (BVB), and Schalke 04 stores. MYSA’s own Chato Alvarado was excited to report to the coaches that he had found not one, but three Starbucks there. Our 2002 and 2004 teams had morning training. After a brief break, the rain returned along with strong winds so we opted to move our scheduled sessions indoors. Our ‘02’s trained in the gymnasium at the hotel which is a space our boys have been using throughout this trip during their free time. Though sizable, the gymnasium is not large enough for two teams, therefore the ‘04’s took over the local futsal court. The manager took great pride in showing us the facility and in spite of the language barrier, it was clear that it was a great honor that our boys were being given the opportunity to practice here. 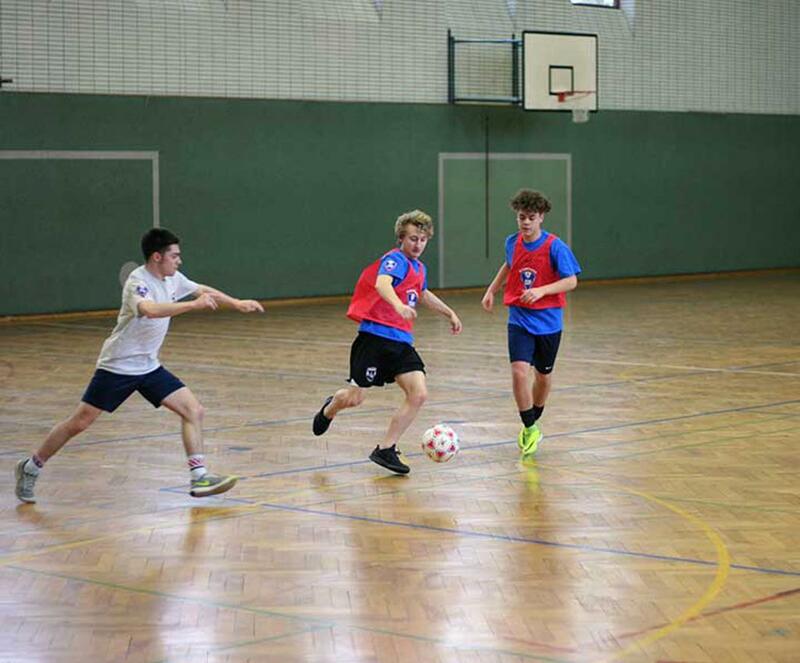 We learned later that it is a professional futsal court where the German national team trains. The boys performed well, working up a good appetite ahead of lunch. After lunch, our groups had some free time before we started to move in different directions again. 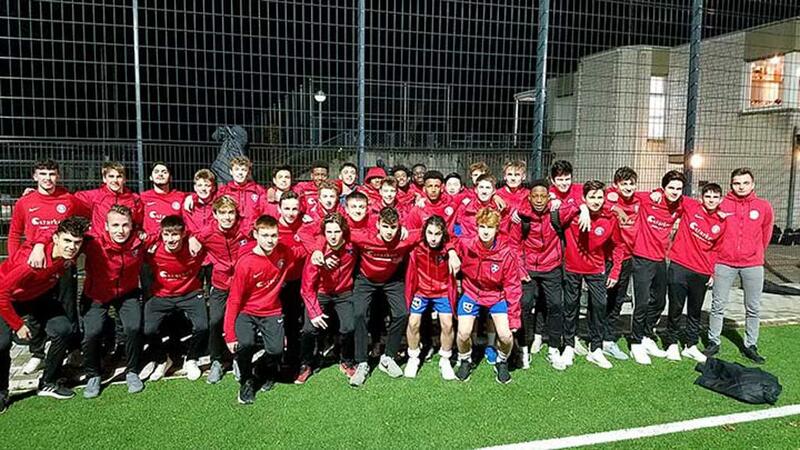 Our ‘03’s went to Wuppertaler SV Complex for their game and our ‘02’s and ‘04’s to the mall in Oberhausen. Our ‘02 and ‘04’s were excited for some good, old fashioned American fast food. Apparently, the addiction is real. The boys were especially excited that there were three stores each dedicated to its own professional soccer team. As I was purchasing a jersey for my son, one of our players grabbed my attention, “They’ll put a name on it for free! So Un-American!” he said. I honestly was surprised too and joined the pack by adding Pulisic to my son’s jersey as well. 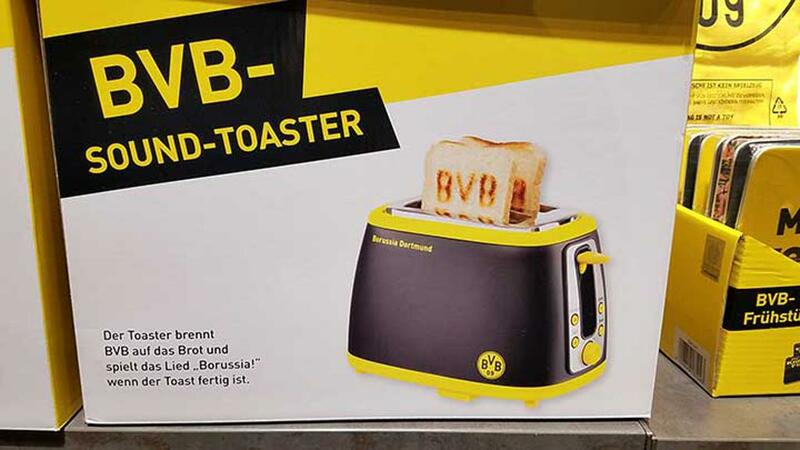 With all our players who siphoned through, I wouldn’t be shocked if BVB has now officially sold out of #22. After the mall, our teams boarded the bus for the return trip to Wedau for dinner and team meetings while we awaited the ‘03’s return from Wuppertal. Apparently, it was a cold and stormy night in Wuppertal with temps in the low 40’s, persistent winds and rain throughout the game. Our team began the game by scoring in the first minute. Wuppertaler immediately responded by scoring 45 seconds later. From that point on, it was clear our team was out matched by the physical strength and intensity of our opponent. Wuppertaler forced our ‘03’s to push the limits well beyond the comfort zone. Throughout, the ‘03’s persisted with tenacity and learning much in the process of playing such a quality opponent. 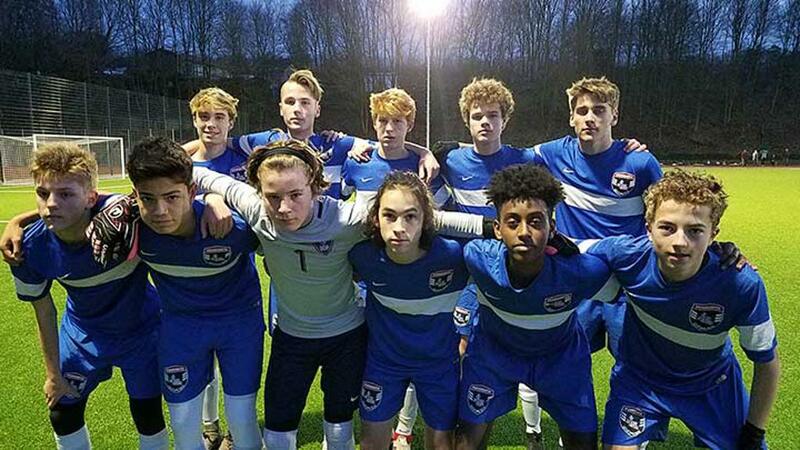 Overall, the boys all enjoyed a very cool game atmosphere; playing under the lights, on a brand-new turf field, high on the hill in Wuppertal. After the game, both teams came together in the clubhouse to enjoy a homemade German dinner together. Much was learned about each other’s countries, families and backgrounds. What an incredible experience for our boys and one our ’02 and ’04 teams will get to enjoy tomorrow. Looking forward to another exciting day ahead in Germany.